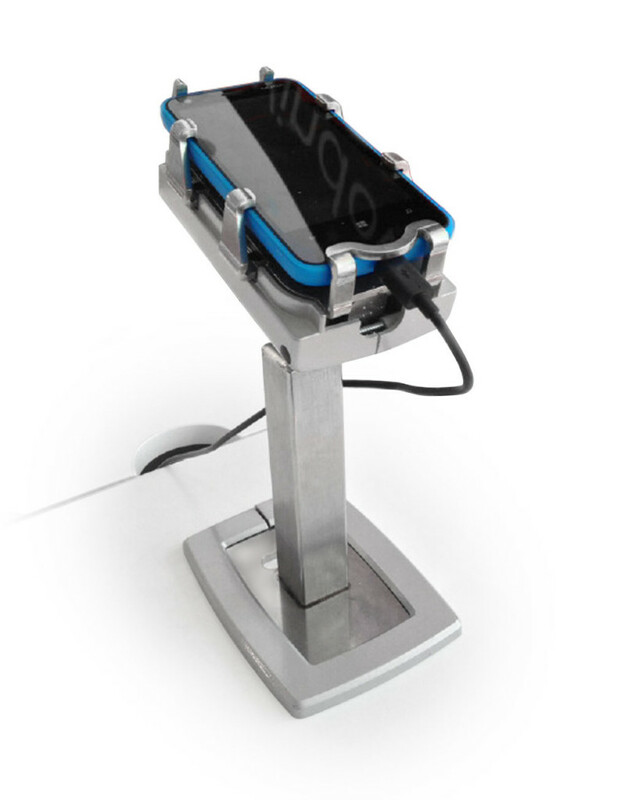 The Gorilla grip offers a surprising new mechanical solution to secure smartphones and tablets against theft in phone stores. The electronic device can easily be secured in the Gorilla Grip. The device can be removed within seconds, by authorised device owners or staff, by means of a traditional key. 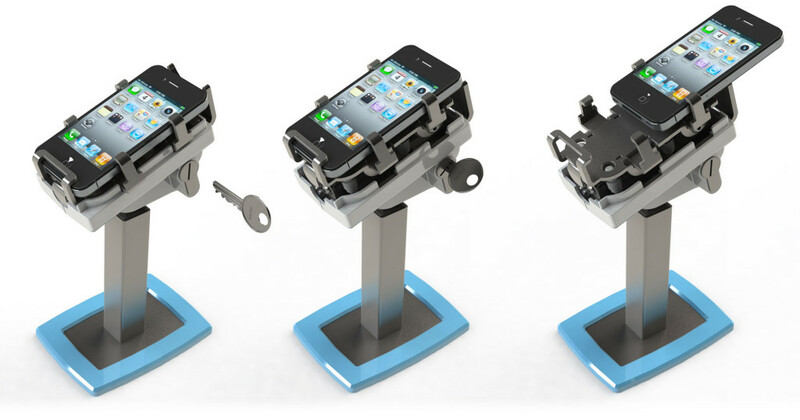 Placing the device back in the security grip is a no-brainer. The traditional electronic security systems fail in a theft and run situation therefore a robust mechanical solution was required.